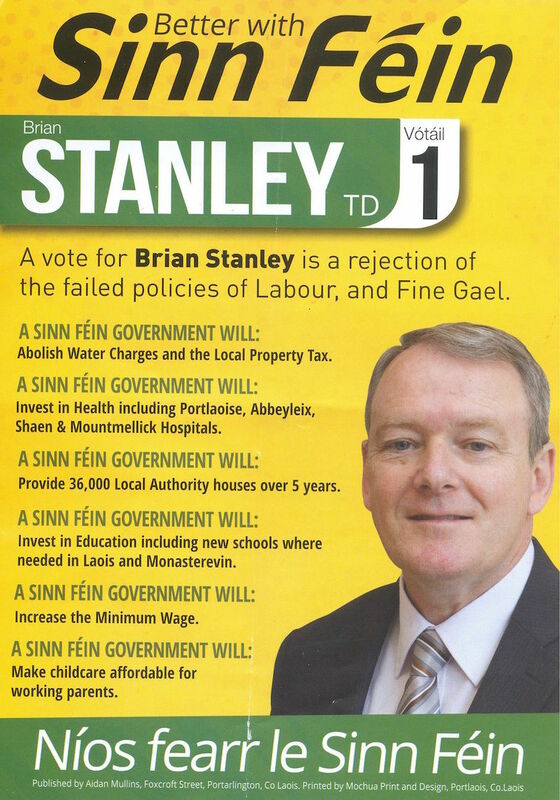 A leaflet aimed at Labour and their Laois candidate Senator John Whelan from Brian Stanley of Sinn Fein who is running in Laois. 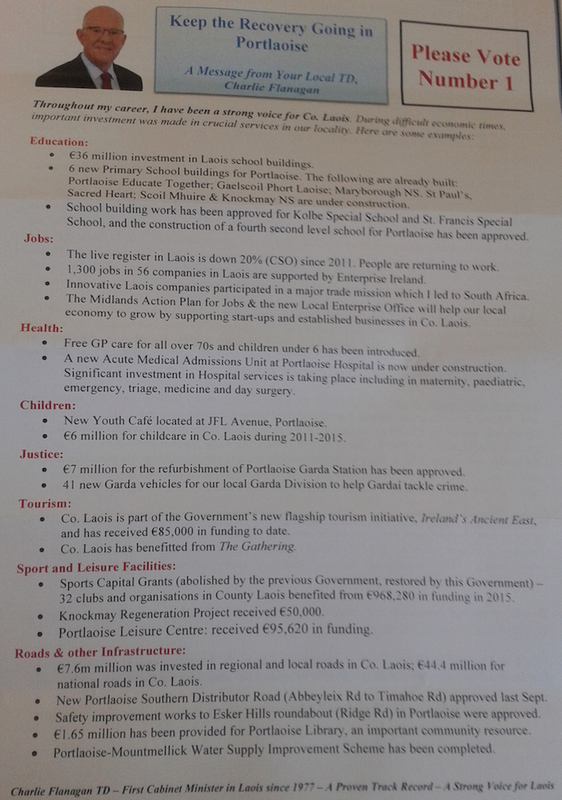 A “Keep The Recovery Going in Portlaoise” leaflet from Charlie Flanagan who is running for Fine Gael in Laois. A Litir um Thoghchán from Sean Fleming who is running for Fianna Fail in Laois. 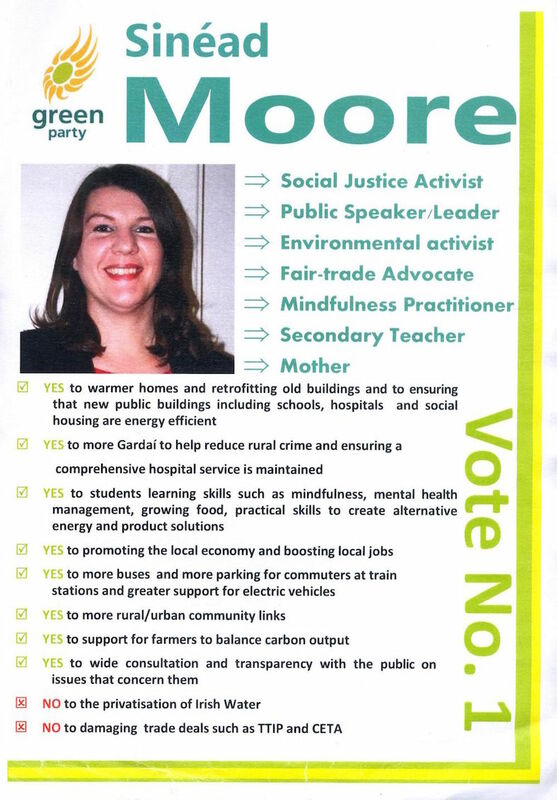 A leaflet from Sinead Moore who is running for The Green Party in Laois. 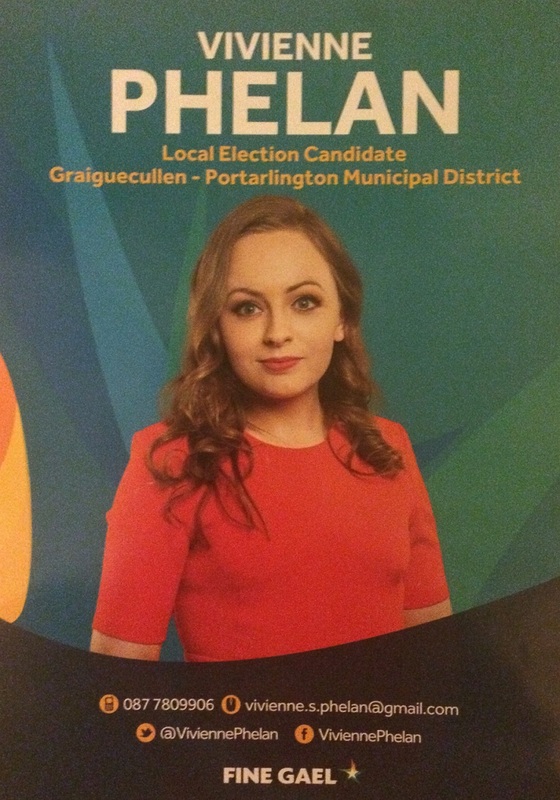 A Litir um Thoghchán from John Whelan who is running for Labour in Laois.